I wake up at 3:30 AM and I have to get ready to head to the airport. I know I smell good because I had taken a shower the night before with the amazing Softsoap® Earth Blends Body Wash that came in my Spiritú Box. My hair is fluffy and out of control, so I use my TRESemmé® Hairspray - the new Micro Mist formula - to hold it down. My morning is off to a slow start but I am feeling confident that I am starting to look good, and the flight has nothing on me. Before applying foundation, I make sure my face is moisturized with The Seaweed Bath Co. Restoring Marine Serum for maximum face protection. It’s going to be a long day of traveling. I have to protect my face. I am finally on my way to the Ontario Airport for the 6th time this month. Work never stops when you are trying to save democracy. What I do for a living isn’t the prettiest of careers. I work on campaigns - that often times give me no breaks. For the longest time, I didn’t stop to invest in my self-care. Year by year I saw myself letting go of my beauty routines and products. I usually made good career choices, but I wasn’t making good self-love choices. I finally realized I couldn’t do this to myself any longer, and so I wanted to find products that made me feel whole. One day, like today, I woke up, opened my Spiritú box, and chose myself. This journey that I have been on has been incredibly rewarding. It has been incredibly eye-opening. On this moment, I started to do me, to love me, to choose me first - I finally decided to invest in myself. So here I am at the airport with my beauty treasure box, my Spiritú box. I’m walking in style, wearing my handcrafted earrings from Colombia. I am getting a look from some handsome travelers and I smile confidently with my Red Velvet Bobbi Brown Mini Luxe Lipstick. I feel confident walking past them as I board the plane because they are getting a waft of my Michael Kors Sparkling Blush perfume. I love leaving an impression on people who share a similar destination. I take an easy selfie with my PopSockets grip to confirm what I already feel - I look good. As I walk onto the plane, I feel completely strong and fierce. Loving yourself is not about having things or objects. It’s about finding a way to use those things or objects to allow you to love yourself. 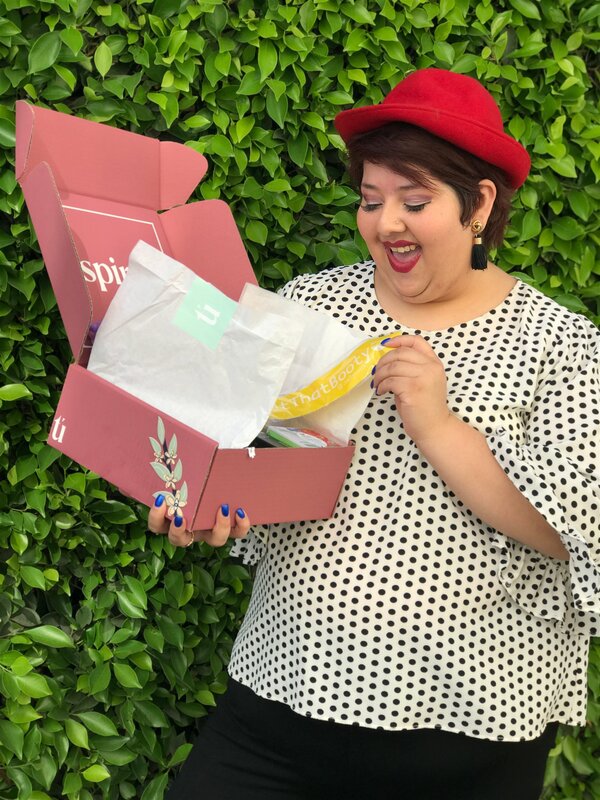 The Spiritú box is a way to treat yourself, to indulge in self-care, and to give yourself something you deserve: the opportunity to be your best self. Read more about Joz Sida.